It is not progress that allows failure; it is failure that allows for progress. But not as a cause. Failure is only linked to progress through a particular framing of meaning that is oriented upon progress. This is an emotional investment. The truth in our feelings, the linking of feeling to event to decision of choice to outcome is the basis of causality, the basis of progress, of the view that sees progress as the real determinate, of the significant mode and method in having and gaining purpose. This is why failure must be defined as we are now, for the real way to have failure is already vested in the progressive outcome. In this we hear that all activity has a reason, and ponder the idea that there are only solutions. We face reality through these maxims. This is why we pout and complain when things don’t go our way. We don’t view failure as a necessity in itself, as a vital component of Being. Always there is another opportunity of triumph. In darkness, failure has become absolute. This is not a real estimation. It is a determination that does not answer to real rationality; it is its own estimation its own rationale. 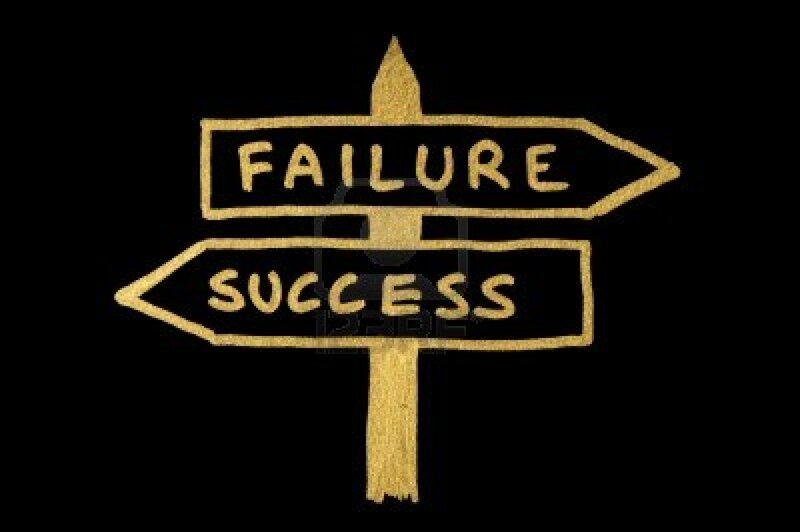 Here, failure is not a half-way mark, not another means for progress; here, failure is progress itself, for its own sake, by its own motivation, within its own teleology. Decisions were made, choices enacted and progress was never made; at least, progress in the sense of activity undertaken for the sake of progressing in some particular already defined arena for activity, for the sake of real progress. Failure has its own progress but we also lose the very notion, the conventional notion, of progress by this route; we might call this then recession. A progress of recession. The move of failure that never concedes to (conventional, real) progress is total failure, and by every existential feature, it becomes its own motion, a disregarding of want for relief. So long as we hang on to some idea that there is going to be a resolution, there have we staying in the real progress and become that Being of progress that ‘gets up again’. In darkness we have gotten up so many times that getting up has lost any real meaning, the motion means nothing any more, or rather, the getting up now relinquishes the real power, the real estimation of progressive estimation and comparison. The getting up can only occur in this moment in another way, towards another direction. People can say all they want about trying and trying again, but the fact is – and this is the fact that no one can understand until they come upon it – is that beating one’s face against a wall is the aggravated Being; there is no ‘getting past the wall’. Getting past this wall only occurs when it wasn’t a wall to begin with, and that is thus not an actual failure but mere a real failure. Coming upon this type of wall and not recognizing it, repeatedly smashing your head into it and turning and finding that this wall surrounding you at every possible exit, but then not recognizing it – this is the cause (the eternal cause) of anger, fear, resentment, attitude, that defines the Geo-political environment, is the present world. And in this we find the discernment of the failure of the Enlightened mind that we read about in Heidegger and Derrida (the book I am going through at this moment). It is the mark of the destitution of spirit. Failure, in this way, is the continuance of “spirit” in the Heideggerian sense, quote/unquote from the perspective of the real world. Spirit has fallen away and becomes a mockery of itself by conventional estimations; it becomes a fantasy at one end of real rational ideology of belief, and the source and object of belief in the religious sense at the other end. And this is the reason why we can no longer rely upon an extension of a common meaning of discourse, no longer merely assume that discourse contains an essential ability and capacity to uphold a consistent meaning across a supposed common humanity. This is the reason why we posit a divergence in discourse; two routes. What we find is that there is a truth that is Being expressed, but then along side we have a meaning of this expression that is interpreted by others in various ways. The group of the various meanings get together and discuss their various meanings and never come to a consensus about what they were talking about in the first place. The consensus (conventional) thus eventually comes to the conclusion merely by order of course, that the words are containing and or actually conveying a true meaning, but this meaning is never found and indeed cannot be found, They thus then argue that reality is this arena wherein real agents are in a process of negotiating the terms thereof, such that reality is at all times a negotiation of discourse, and such that thus reality is the negotiation of discourse. Yet if we can follow Heidegger (if we can be honest about what e is saying, and if we know what he is saying before we have read him – we will get to this later), then we see that this current real estimation is an estimation founded in the destitution of spirit. Not as some conceptual apparatus that retains a distance between the thought and its object, but as an actual operating mode of reality. Previous NOTES FOR Book 3 of the Philosophical Hack.